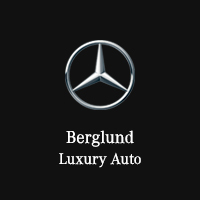 Looking for your next luxury vehicle? Our sale staff is here to help. Browse our extensive new Mercedes-Benz inventory, or take a look at our pre-owned vehicles. Each pre-owned vehicle is thoroughly inspected, so you can be sure that you’re driving away in a luxury car that meets your high standards. When you’re narrowing down your choices, use our payment calculator to estimate financing. As soon as you find the perfect car for you, visit our financing department for a stress-free experience finding the right lease or loan for you. We’ve developed ongoing relationships with some of the nation’s top lenders so that you’ll always get a competitive APR rate. When it’s time to bring in your vehicle for maintenance, you can rest assured that it will be in good hands. Our service department is dedicated to providing exceptional service in a timely matter with the help of our premium equipment and factory-trained and certified technicians. Schedule an appointment online to streamline the process even further. If you’re looking for a superior level of service that exceeds your expectations, come to Mercedes-Benz of Lynchburg today. Our team is standing by to assist Bedford, Charlottesville, Danville, and Roanoke drivers. Give us a call at 434-385-6226 or contact us online for more information.